Most emotional music hits its listeners in only one of two ways: Either lyrically, through ethos and storytelling and raw sentimentality, or melodically, by hitting the right chords in the right order in a way that scrunches hearts. Of course, some bands employ both, but only a talented few intertwine every note with every word so that the emotion is as complex as it is palpable. 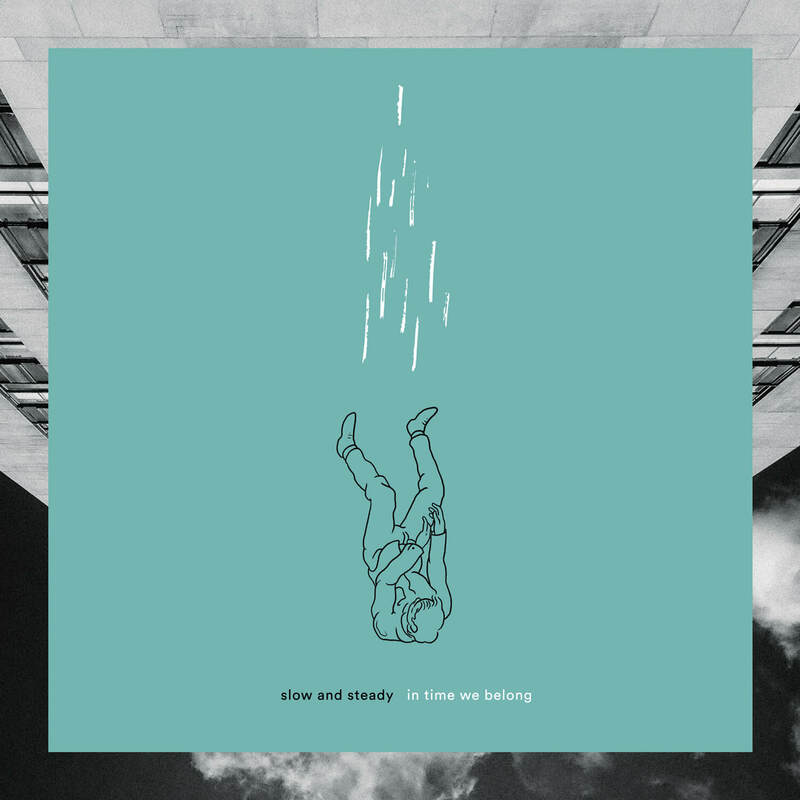 This includes songwriter Jacob Lawter, who, on In Time We Belong—his first full-length as Slow and Steady—twists his poetry around maudlin melodies, the result of which is the sort of sad pop that evades melodrama in favor of authenticity. “Disinterested” is made sadder by its sparseness—the subtly distorted organ and shy piano that comprises the song’s melody. Though a full band fills the remainder of In Time We Belong, the music amplifies the sentiment throughout the album. This is particularly apparent on the opener “Watching Life Go By,” a whose lonesome chords hang slack beneath Lawter’s voice. “Call the search party,” he sings, “and tell them that I died watching my life go by,” just before the band bursts into the song, its cymbals sneering, its guitars tense and bass bulging. Suddenly, this sorrowful song reveals itself to be resentful—indignant—because Lawter tapped the fuzz pedal. To be sure, Slow and Steady’s debut is somber, but it’s by no means miserable. Just like a diary entry written during one’s darkest year, In Time We Belong is more documentary than depressing. And, though listeners will understand what he means when he sings, “It’s easier for me to believe your lost at sea than for me to believe you’re there not listening to me,” on the record’s final track, feel it in the agitated chords, the effect will be cathartic. Because that’s the power of music—to make the listener feel emotion, then make them feel better.